Here are photos from some of our recent expeditions. 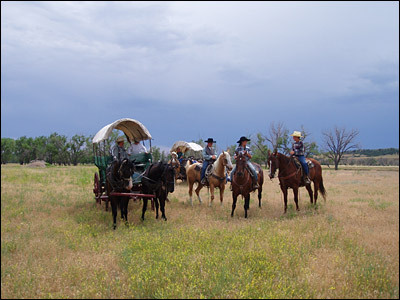 the rancher's children and friends giving our guests rides. 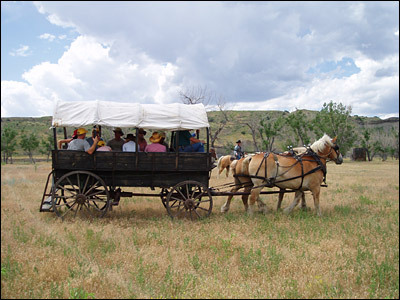 Another great photo of the wagon ride. 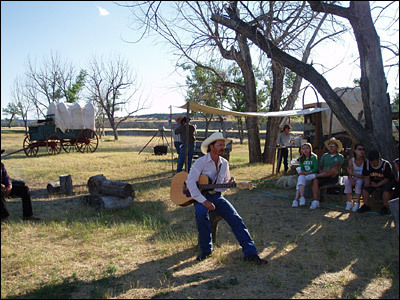 Mike Kuchera - your host getting the campsite ready. 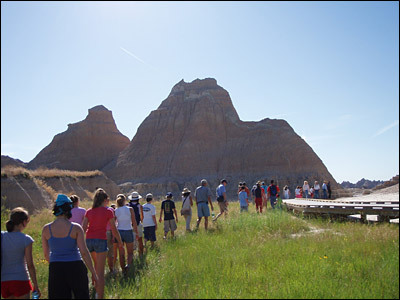 Tour guided by a naturalist in the Badlands of South Dakota. 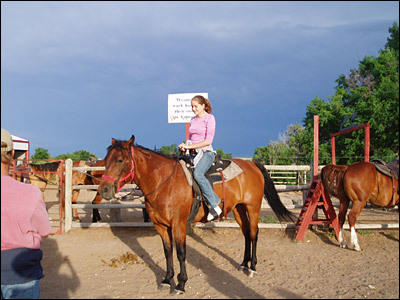 with her horse before departing for a trail ride. 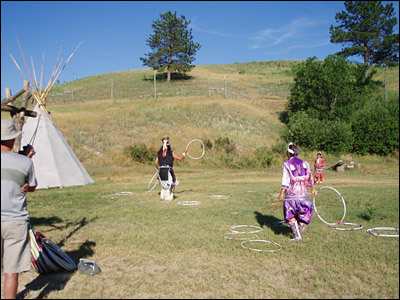 Native American Lakota Hoop Dance. 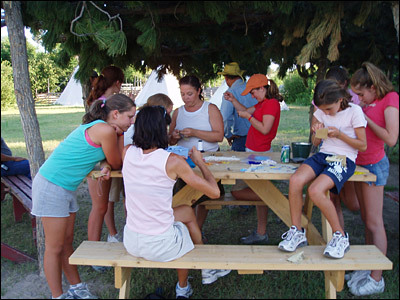 how to make Native American beadwork. 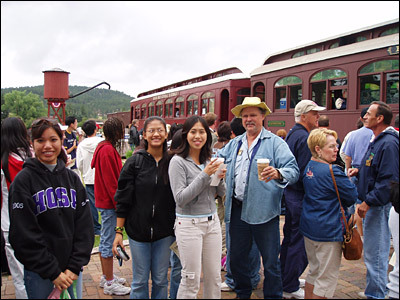 of a youth group before hopping in the 1880 train. 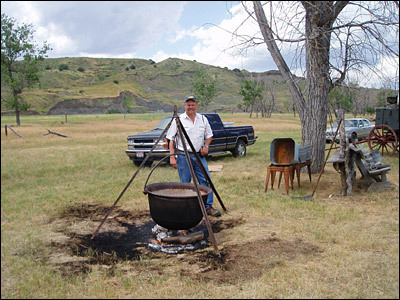 chuckwagon dinners out on the prairie! 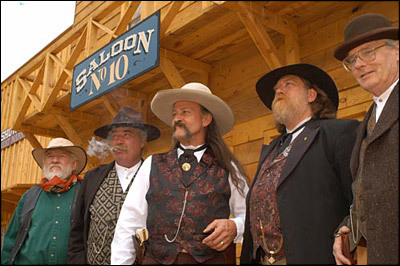 Some authentic Wild West characters on the streets of Deadwood!